ITS is a is very competitive in pricing when it comes to carbide tip or solid carbide cutting tools. Carbide tipped tools should always be used when machining highly abrasive materials. Carbide tipped tools improve surface finish and hold size far longer for better quality. Carbide tipped tools retain their cutting edge hardness at high machining temperatures generated by high cutting speeds and feeds that reduce machining cycle time. 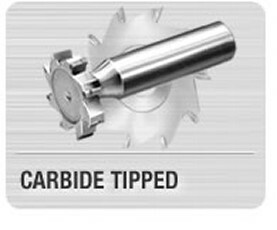 Carbide tipped tools last far longer because the carbide chip forming surface resists wear as the chip flows over the tools. This greatly reduces need for costly changes with increased scrap and rework. Industrial Tool Sharpening has been in business since 1984 and is one of the leading manufacturers of carbide tipped tools in the industry.